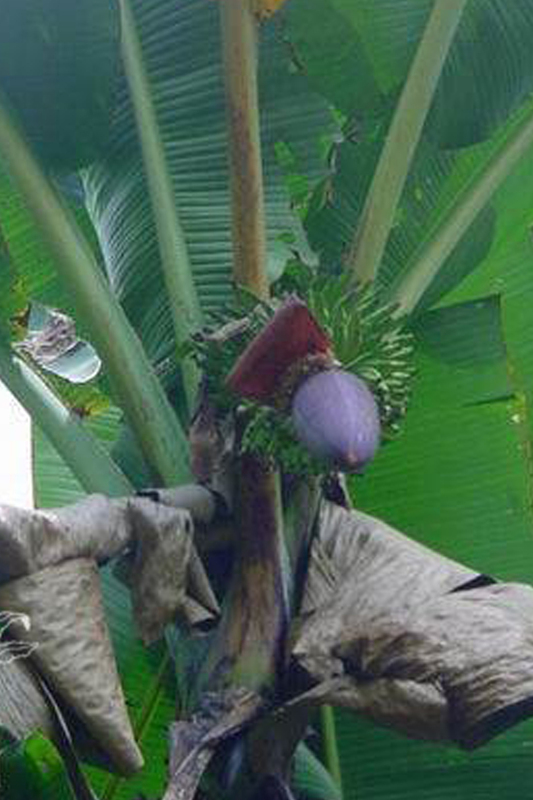 This banana plant is a hybrid between Musa and Musa sikkimensis "Chinichampa". Its fruits are very sweet and tasty. This species has reddish midrib, reddish leaf undersides and waxy white petioles. Shows great promise to be tolerant of the cold UK.